Just when you think you’ve seen it all! I am slightly freaking out right now because this is just about the coolest thing I have seen in a VERY long time. 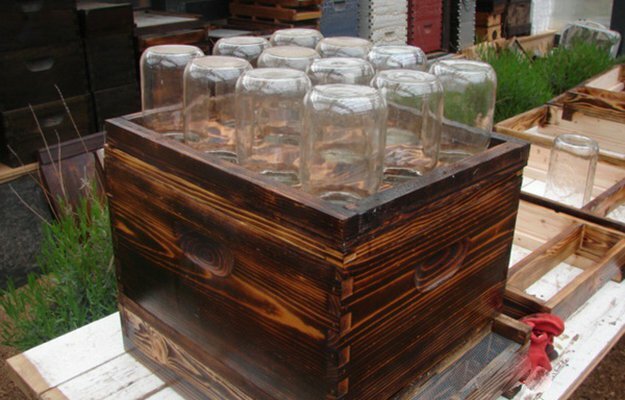 You can, in fact, make a beehive using mason jars as the hives, and the bees will produce honey right in your jars! How cool is that? Drill 12 holes in your plywood piece for the mason jars, by tracing the mouths of the mason jars. 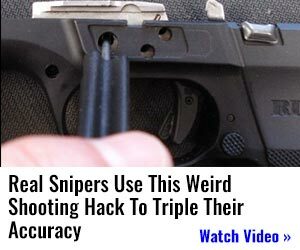 This will work best with a hole saw. 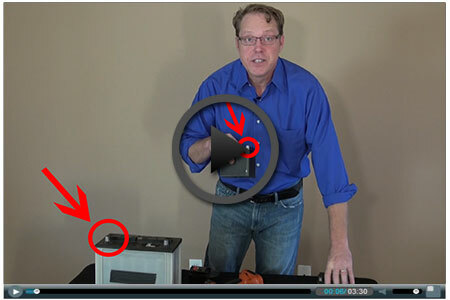 Troubleshoot as you go, making sure your jars will fit snugly inside. If you want to make them a bit wide, you can glue the lids to the plywood around the holes to screw the jars neatly in place. 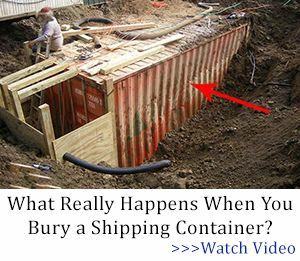 With your wood screws, screw your two 22″ and two 18″ pieces to the plywood to make a box. Place the box over the bottom beehive kit, and let your bees get to work! 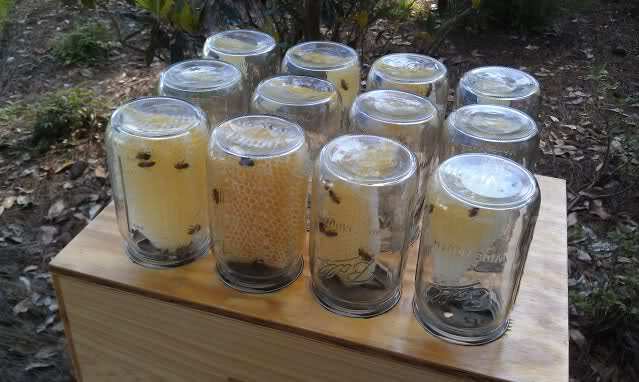 You can put some starter combs in your mason jars and the bees will fill them with honey. We’ll have to do a follow-up on getting a hive started for this one, so stay tuned!